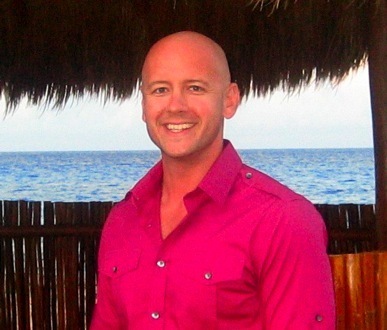 Kyle is a highly sought after personal trainer in Orlando training over 30+ clients a week. His tough love approach to “high intensity” training has earned him the nicknames “Killer Kyle” and “The Punisher”. Love him or hate him, Kyle’s approach to training works! Born and raised in Orlando, Kyle is a graduate of the University of South Florida. If you don’t know he is a HUGE fan of the Dallas Cowboys. He has also participated in several All-Natural Body Building competitions, where he placed in his first ever competition. Kyle Bealert is a graduate of the University of South Florida and a certified personal trainer with over seven years of training success. Kyle believes in High Intensity Training or HIT. HIT focuses on working the muscle to failure to achieve maximum gains. With his creative and challenging workouts Kyle has helped athletes, Mom’s, National Champion swimmers, corporate executives, and his own wife reach their fitness goals. In just 30 minutes, 2-3 times a week, Kyle can have you in the best shape of your life. In his spare time Kyle likes to workout, spend time with his family, eat a good steak, and watch Dallas Cowboy football.